For decades, Memphis grew by bringing its suburbs into the city limits. City officials thought this suburb-gobbling policy would be an economic boon-- that it would bring in tax revenue. Instead, the policy was an economic disaster, especially for the majority black neighborhoods in the city's core. In this episode, we’ll tell you about the consequences of Memphis’ sprawl, and the city’s plan to fix its past mistakes. We always want to hear from you. Send us your thoughts and questions at impact@vox.com Thanks to LaTonia Blankenship, Preston Hurt, and Ruby Estelle Smith. The Impact is a show about how policy affects people. In Washington, the story often ends when Congress passes a law. For us, that’s where the story begins. We follow the choices that legislators, leaders, and researchers make out into the real world where they have human consequences — both positive and negative, expected and unexpected. How does a Band-Aid wind up costing so much money? Why are American health care prices so incredibly high? 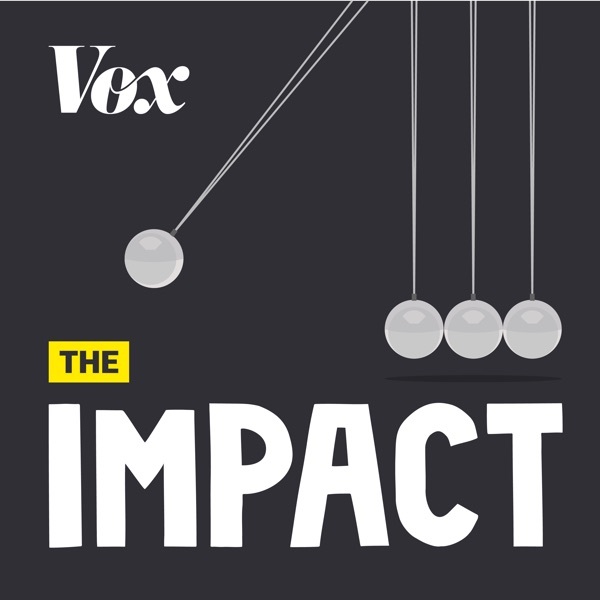 Vox’s new podcast, the Impact, explores how policy affects real lives. This season, we’re focusing on healthcare, and we wanted to begin with one of thorniest questions in the American healthcare system: prices. In this episode, we look at how the American decision not to regulate health care prices leads to $629 Band Aids and $3,170 fees just for visiting the emergency room. We talk to doctors who think these prices are totally justified – and a health economist who doesn’t buy it. And we take a trip to the drug store to find out how much a Band-Aid should really cost. Email us your feedback to impact@vox.com. Central line infections can be deadly. And they used to be extremely common: just a decade ago, hundreds of thousands of patients got them every year. Now, that number is closer to 9,000 annually. That's still high, but it's a dramatic drop in just ten years. So how did that happen? On this episode of the Impact, we talk to the doctor who discovered that central line infections are, in nearly all cases, completely preventable. Physicians just need to follow a checklist to make sure the line stays safe and sterile. And we’ll explore why, if this infection is preventable, some hospitals still have several cases of them each year. This episode includes content that might be upsetting for listeners, so please be aware. Many thanks to Vox's Johnny Harris, who originally recorded footage for this story. For more on this topic, read Sarah’s story on central line infections from 2015. Please subscribe, leave us a rating and a review, and email us your feedback at impact@vox.com. There's a well-known narrative about the opioid epidemic: pharmaceutical companies and dirty doctors pushed misinformation and addictive drugs on patients. But there's also a policy story here, about well-meaning doctors who tried to find the best solution for their patients in pain. These doctors developed and spread new policies that urged their peers to treat pain as a vital sign and measure it at every visit. That policy change helped create the nationwide opioid epidemic we’re dealing with today. Please, subscribe and leave us a review! You can email us at impact@vox.com, or send an ER bill at erbills.vox.com Music in this episode by Podington Bear and Chris Zabriskie, with sound effects from Berlin Atmospheres. On this episode of The Impact, we’re looking at a possible future for pain treatment. It’s an idea known as “pain acceptance,” and in the wake of the opioid epidemic, it is gaining traction among American doctors. Music from Podington Bear, Kevin MacLeod and Chris Zabriskie. What is the best way to care for patients with severe mental illness? The United States has struggled with this question for decades. In 1963, President Kennedy signed a law that was supposed to transfer patients with severe mental illness out of hospitals and back into their communities -- into outpatient treatment. That effort hasn't really worked. A lot these patients end up homeless. Many are in prison or jail. One recent study found that more than half of all inmates have some kind of mental illness. Summit County, Ohio, thinks it has a solution: court-ordered outpatient treatment. It’s often called Assisted Outpatient Treatment, or AOT for short. That’s sort of what President Kennedy hoped for: treatment outside of the hospital, in the community. But the treatment is enforced by the courts -- and that’s what makes it so controversial. We had music on this episode from Blue Dot Sessions, Chris Zabriske, Kevin MacLeod, and Poddington Bear. Please email us your feedback to impact@vox.com. Help us make season 2! The Impact’s second season focuses on states and cities as laboratories of democracy. Unlike our gridlocked Congress, local governments are constantly implementing exciting new policy. This season, the team crisscrossed the country to find the most interesting policy experiments and see how they are changing lives. Season two starts Friday, November 2. In the meantime, be sure to check out the first season, and email us with thoughts and questions at impact@vox.com. Seattle is running the country’s most radical experiment to fix campaign finance. Last year, the city sent every resident $100 that they could donate to the local campaign of their choice. Seattle flooded its election with small donations to try to drown out the influence of big money in politics. In the first episode of our second season, we set out to discover if Seattle’s experiment made a difference for who decides to run for office, how candidates interact with voters, and who donates to campaigns. We also come across some talking dogs. Is fixing campaign finance as easy as giving everyone $100? A decade ago, South Carolina was one of the most dangerous places in America for a baby to be born. But now, it’s taking an unconventional approach to fixing it: having pregnant women sit in circles with other pregnant women and...talk. The early evidence from this experiment suggests that these group sessions might be leading to better birth outcomes, and giving South Carolina babies a healthier start to life. In this episode, we’ll try to understand what it is about these workshops that works… and why this low-tech intervention might be just what the doctor ordered. Sit in a circle. Talk to other pregnant women. Save your baby’s life? While the federal government is trying to deport as many immigrants as possible, Oakland, California, is running a policy experiment to help immigrants stay in their communities. The city is giving as many immigrants as possible attorneys in court, free of charge. In this episode, find out how Oakland pulls this off when the federal government is against them — and how immigrants’ lives change when they get representation. * For more on this topic, check out Dara Lind’s coverage on Vox, including: what it means to give immigrants attorneys in immigration court; Attorney General Jeff Sessions’s role in immigration cases; deportations under Presidents Trump and Obama. 22% of New Yorkers are obese. In Chicago it is more than a quarter of the city. Obesity puts people at risk of diabetes, heart disease, even certain kinds of cancer. A couple of years ago, both cities decided to do something about it. But the policies they implemented were incredibly different. New York made healthy food more accessible. Chicago made sugary beverages more expensive. On this episode of the Impact: Which approach works best? All across the country, it seems like a given: places with more expensive houses have nicer schools because they can pay higher taxes. That’s just how education seems to work. Except in Vermont. Two decades ago, the state passed a radical law to equalize education funding. On this episode of the Impact.... we’ll tell you how that law came about. It’s the story of one woman, Carol Brigham, her young daughter, Amanda, and their fight to save the tiny school that is the heart of their small Vermont town. Baltimore is running a unique housing experiment that gives longtime residents vouchers to leave the city’s poorest, most violent neighborhoods for new homes in more affluent suburbs nearby. In this episode, we follow a mom named Alethea through this policy experiment. You’ll hear how Baltimore’s segregationist history planted the problems this program is trying to solve, why some participants are really frustrated with the initiative, and how Alethea decides whether to stay — or go. We always want to hear from you. Send us your thoughts and questions at impact@vox.com. Denmark gives new parents nearly a year off work after they have a baby. Most of that time can be taken by either parent — but dads take barely any time at all. That has consequences for Danish men and women at work and at home. For the final episode of season two, the Impact travels to Denmark to find out why Danish dads are thumbing their nose at paid leave. We also discover a solution in another country, where more dads are enjoying time off with their new babies. We always want to hear from you. Send us your thoughts and questions at impact@vox.com.